Big Train Chai mixes include everything you need to enjoy a great tasting chai. They are a tasty combination of black tea, sweeteners, creamer, and spices. For an instant chai fix, just add hot water...it's really that simple! 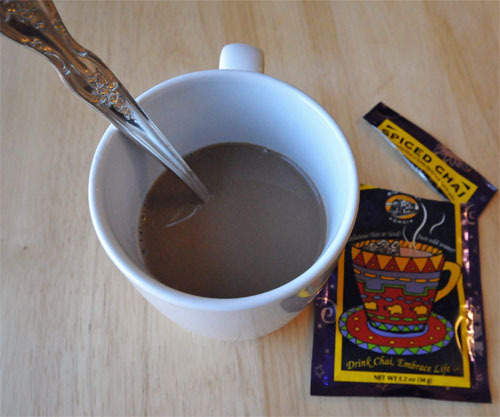 Using a mix is hands down the easiest way to enjoy spiced chai. The packaging is colorful and exotic enough to look like it came from a fun place. Doesn't this look like a party in a bag? I love the ease of a chai mix. Although I enjoy making chai from scratch and tinkering with the spices to get the taste "just right," there are many times when convenience trumps everything else. I'm sure I'm not the only one who doesn't have time to watch cardamom simmer every morning! The preparation can't get any easier. You just add hot water to the mix, stir, and viola! Instant chai latte! No trip to Starbucks necessary. For a cold version, pour it over ice. The mix is very fine and blends really well with no clumps at all. 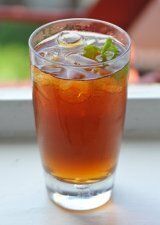 I took pictures of my freshly made drink until I couldn't stand it anymore and had to give the steaming beverage a try. My mug of chai was amazing...spicy, sweet (but not overly sweet), warm, delicious, and everything I could ask for on a cool morning. I felt like I was drinking a luxurious coffee shop beverage without leaving my kitchen or spending $5 for a single cup. Both great things. I love the ease of preparation for this delicious beverage. It's hard to argue with a spiced chai that is ready in the time it takes to boil water. While it's not homemade, it is the perfect quick chai fix and virtually effortless. 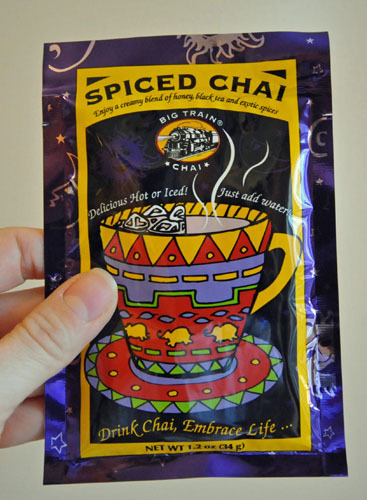 Have You Tried Big Train Chai Mixes?